"I would like to thank you for your help in planning my new kitchen. Everything has gone smoothly and I am more than pleased with the finished product. The slate worktop has taken its place beautifully and the kitchen looks stunning." "I would like to congratulate your team on their excellent work and the efficiency with which it was carried out." 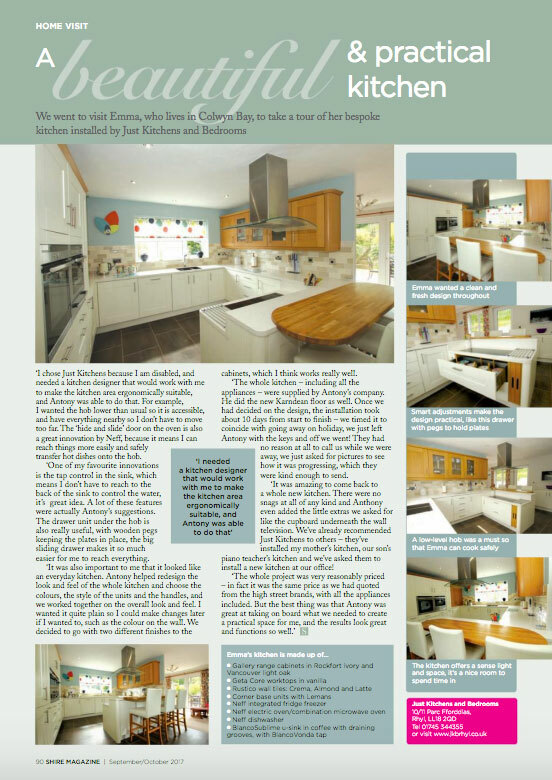 "...through helpful advice and guidance we ended up with a kitchen that is now a pleasant working environment, that has been installed with a sense of regard that is normally only demonstrated if you do something for the love of it. In addition this was all achieved at a very reasonable price, and would lead me to having no hesitation to recommending or using your services again should the need arise." "...I wanted to let you know how pleased I am with the way my kitchen has turned out and to thank you for a job well done! I will certainly recommend your work and helpful advice, and prompt work schedule." "Excellent workmen, they have completed our kitchen we were so pleased with their work we then asked them to do our bathroom, we have also just had fitted wardrobes in the bedrooms. Looked after through all the work." "Thank you for giving us such a brilliant service. We are both extremely pleased with the end result - our dream kitchen!" "We now have a beautiful kitchen and would recommend, without hesitation your firm to anyone who required a quality kitchen. The professionalism of yourselves and your staff is a commodity which is all too rare these days It is good to find a firm that considers quality and service to be paramount. We wish you and your staff every success for the future." "An amazing firm, who produce awesome results, lead by a man who really does put the customer first and foremost. His team of tradesmen are first rate. The jobsthey have done for me have left me more than pleased with the final result, they are artists right from the initial enquiry, the excellence of planning and execution through the aftersales. Their mantra is "no problem" You will not be disappointed"
"I would like to thank you and Anthony and all the lads for the excellent job which you did on my bungalow, my neighbours and friends think it is just wonderful." "One always expects a good job, but having had an excellent job I felt I must write to say thank you for my wife’s new kitchen. She was so pleased that she said to me: “thank you for my beautiful kitchen”. The standard of workmanship was very high indeed. A competent team arrived, cabinet makers, electrician and plumber. Stripped out with the minimum of inconvenience and installed with efficiency and cleanliness and the attention to detail - SUPERB. Thank you for a job well done." "...I thought the workmanship was absolutely first class and the soft-closing doors are a supwer feature that I did not expect. I would have no hesitation in recommending you to anybody who wants a truly magnificent kitchen." 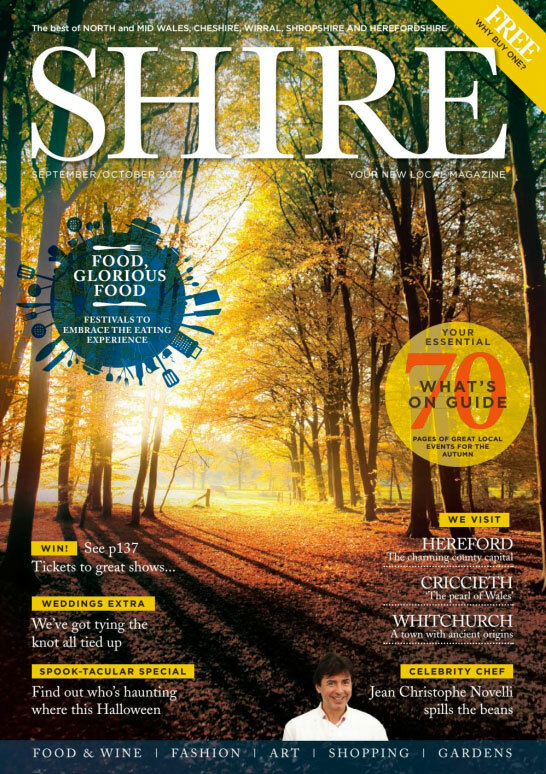 ".Check out the Shire Magazine feature of a bespoke kitchen fitted by our team. #symphony-group.co.uk #GetaCore #Rusticotiles #Neff integrated appliances #Blancosubline"